Regina Burgess-Terrell, a human resources professional with more than 20 years of experience, currently serves as Director of Human Resources at the Capitol Region Education Council (CREC). Ms. Burgess-Terrell began her career at CREC in 2002 as Assistant Director of Human Resources. In 2004, she was promoted to Managing Director of Human Resources, becoming primarily responsible for the day-to-day operations of the department. She assumed her current role as director in 2008, increasing the scope of her responsibilities to cover the human resources needs for more than 2000 employees across the organization. Prior to joining CREC, Ms. Burgess-Terrell was employed as Director of Human Resources at the Hebrew Home and Hospital, and the Community Renewal Team. Ms. Burgess-Terrell graduated from Morgan State University with Bachelor of Science degrees in business administration and marketing, and earned an MBA from the University of Connecticut. In 2003, she graduated from Quest, a leadership training program by Leadership Greater Hartford, and successfully completed the Education Policy Fellowship Program from the Institute of Educational Leadership. As an active member of the American Association of School Personnel Administrators (AASPA), a national organization that targets and represents school personnel professionals, Ms. Burgess-Terrell serves on the executive board as the Region 3 representative and participates in the Minority Caucus Committee. In addition, she is a member at large of the Connecticut Association of School Personnel Administrators (CASPA). 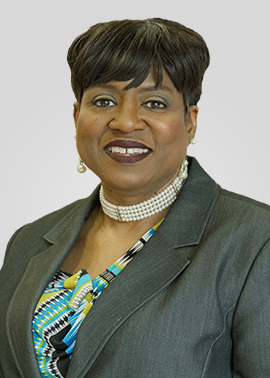 Ms. Burgess-Terrell is a member of the Society for Human Resource Management and previously served as a board member of the Connecticut Business Leaders Network. She currently serves as Director of Finance at the Citadel of Love Tabernacle Church. Ms. Burgess-Terrell has presented at professional conferences on the topics of supervision, cultural diversity, and recruitment and retention; and has coached high school students on resume writing, interviewing skills, and careers in human resources. She serves as a mentor to young people who are continuing their education at institutions of higher learning.